For our birthday party, we had a “Pimp Your Cupcake” station, allowing guests to decorate their own cupcakes. It was a big hit! Here’s everything you need to create a DIY cupcake station dessert bar, plus my tips for setting up a cupcake bar on a budget. Coming up with a great gift for the guy in your life is always difficult. Whether you’re looking for a gift for Valentine’s Day, his Birthday, or ANY other special occasion… here are 8 smart choices that most guys would appreciate. See why musical birthday cards make funny birthday gifts for kids. These videos capture the moments when kids open cards that play songs for the first time! How To Make A Wish List / Gift Registry Online For Birthdays, Christmas, Wedding & Baby Showers: Amazon Universal Wish List! A pinata brings life to a party — especially an outdoor party! Whether you make a paper mache pinata yourself, or you involve the kids, you’ll have a lot of fun with this craft project. Here are a bunch of fun pinatas you can make. Take your pick! If you give someone a handwritten letter as a gift, it will be appreciated more than a store-bought gift would be. In addition, a letter will be read more than once and cherished for years to come. If you would like to write a handwritten letter to someone special but you aren’t sure how to begin, here are a few ideas to help you get started. Gift registries aren’t just for weddings anymore. These days, people are using gift registries for all sorts of special occasions, including: birthdays, anniversaries, graduations — high school and college — baby showers, and more. Here’s how to make your own personalized gift registry. 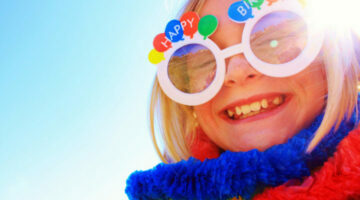 Free Birthday Stuff – Get Free Food, Admission & More On Your Birthday! Send your very own personalized Bud Light Real Men of Genius birthday greeting card… Here are a few funny Birthday messages from Budlight that you can send to your friends. The best part about these do-it-yourself gift tags is the fact that you can change anything you want in the template itself… including the personalized messages.In fact, most parts are optional, so you could even make ‘generic’ gift cards if you wanted to. Fun facts about birthdays, Valentine’s Day, greeting cards, Christmas & holiday greetings, and other special occasions. Send Personalized Roses Inscribed With Your Own Message or Embossed With A Photo! Whether you’re usually in a hurry and simply don’t take the time to do it right, or you just never learned ‘the proper way’ to wrap gifts, here are the best-of-the-best tips for wrapping presents — Christmas presents… Birthday presents… Graduation presents… Wedding presents… whatever. Did you know that you can create your own custom messages for M&M’s candies? 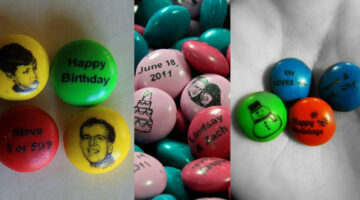 Yep, you can now order bags of personalized M&M’s for gifts or parties! A greeting card like no other!… This one is personalized, interactive, and filled with great memories. Looking for unique gift ideas?… I use Christmas and Birthdays as a time to introduce people to new things. I like to give gifts like practical and handy gadgets, ingenius time-savers, or just clever inventions that few people even knew existed. Need a creative gift idea for someone? Check out these colorful cartoon prints. They can be personalized, and they make great (somewhat comical) keepsakes for people of all ages.